Hot Pepper Communities | PEPPERMEISTER! 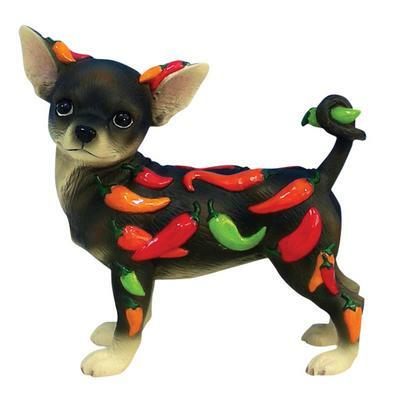 Are you looking for other chile-heads that are dying to talk shop and display their pampered pepper plot? There are a few really great hot pepper communities online to talk about gardening, cooking, showing off, and even trading seeds and plants from all over the world. You will find tips for growing, cooking, picking, canning, hot sauce recipes and more at the sites I’ve listed below. For the most part, these message boards require a quick registration and email verification. These message boards are a great way to keep up your chile IQ, even during the winter months. Garden Web – This is my favorite hot pepper message board. The regular posters are very knowledgeable, quick to help and very willing to post pictures and even videos of their gardens. The site is simple and easy to use. This board focuses on growing and harvesting chiles. I have never asked a question that didn’t get answered at Garden Web. The Hot Pepper – Affectionately know as “THP” by those in the know, The Hot Pepper is a little more overwhelming than Garden Web, but much more thorough as this site focuses on every aspect of spicy food. The Hot Pepper community is very large and includes members from all over the world. There are even posts that are dedicated to trading seeds, which is a great way to acquire exotic and rare chile seeds without spending much money. Use the search feature before posting a new topic. If you think your question or observation may be a common one, there’s a good chance it’s already been discussed on the site. It’s better to post a question in an old thread, than start a new one. A picture says a thousand words. If you’ve got a plant problem or pepper issue, just take a picture and post it in the message boards. Someone else has probably had a similar issue and can hook you up with a solution in no time. For tips on posting pictures to message boards Click Here. Give and take. Don’t just brag about your garden and expect accolades all around (you will get some accolades). Be sure to comment on other gardeners’ pics and issues. Even a novice chile-head might have some info for a seasoned gardener, so try to help when you can. Pingback: Peppermeister’s September Garden Update – & Photo Tour | PEPPERMEISTER!